Family businesses typically have a high failure rate—as high as 70 percent, according to the Harvard Business Review. Working with family can mean personal struggles, hiring people who aren’t as qualified as they should be, or forcing family members into positions they might not want to take. Of course that’s not always the case. Some of the largest businesses in the U.S and Texas are family owned or were for many, many years before going public — Wal-Mart, HEB, even Mars candy. Running a successful family business isn’t an impossibility. And for some folks, it’s even the best possible option. 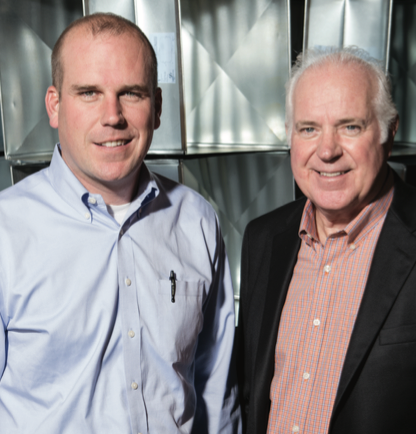 Mike Novak, patriarch of the Novak family, which owns the Novak Group, focuses on energy solutions and construction management in and around San Antonio. Mike set out to create a successful family business with two of his sons, and that’s just what he’s done. It doesn’t hurt that Mike is an entrepreneur with more than 35 years of experience running a business, having started his first company, a niche construction firm, in 1980. After 25 highly successful years, Mike sold the firm and began a new business with his sons Lucas and Josh. Thus the Novak Group was born. When his sons graduated from college, Mike insisted they spend a few years in the workplace, gaining experience and learning the ins and outs of business. After a few years, Lucas and Josh were itching to say goodbye to their jobs at large companies and launch a family business. As a prerequisite to doing so, Mike created a memorandum of understanding for them to sign. That MOU serves as a touchstone, a reminder of their business goals to come back to and reflect on if family tensions or conflict should arise. It’s Mike’s belief that people are the most important part of a business. He is dedicated to serving, inspiring and supporting his sons, his customers, and anyone with whom he does business. It’s a compassionate business view, one that has worked for him for decades, and one he hopes his children will carry with them into their own business futures. In 2012, the Novak Group purchased San Marcos Air Conditioning, and Lucas has served as the company’s president ever since. In that time, the business has quadrupled its revenue and expanded from 20 to 50 employees. His goal is to double revenue again in the next two years. The business is housed in a 7,500 square foot building in the growing town located conveniently between San Antonio and Austin. It’s a bootstrapper success story – and an impressively rapid one. San Marcos A/C is a family investment. Though Lucas runs the business day to day, he stays in close contact with his father, relying on Mike’s expertise and support to keep things running smoothly. The close family contact is obviously working for the Novaks. The business’ location in San Marcos has allowed Lucas to take clients in Austin and San Antonio, including the San Antonio Children’s Museum, Cornerstone Church and the Alamo Brewery, along with several hotels and school districts, which are in no short supply in the two consistently growing cities. Lucas believes this fast-paced growth is due in large part to the sophistication San Marcos A/C offers compared to other small, mom and pop air-conditioning businesses in the area. He also credits his own background in energy efficiency and engineering. At San Marcos A/C, the business is split between construction and service. As far as service goes, the company excels: It’s won “Best of Hays County” awards two years in a row. But the construction side is what truly inspires Lucas, and where he feels his own background and expertise set the company apart. As a mechanical engineer with a background in energy efficiency, Lucas stays on top of new technology in the air conditioning field, which is always changing. This allows him to keep up to date with cost- and energy-efficient trends in the business, which he can extend to his clients looking for new systems during construction. “We’re able to talk to the engineers and look at everything from a constructability standpoint during the design phase where we can have a different approach and help the actual design and what’s going to work and what’s not going to work,” Lucas says. The future definitely looks bright for Lucas and San Marcos A/C. Asked how he’d advise any young would-be entrepreneur coming out of college right now and wanting to start a new business, Lucas admits his advice is probably not what everyone wants to hear. His father advised him to work for a large company after graduating before setting out to start his own company, and it’s advice Lucas finds important to pass on.